Antibiotics are biocides or products that inhibit the growth of microorganisms in the living cells and there are extensive works directed to develop efficient antimicrobial agents. The sulfonamide-containing polymers have great potential to resist gram-positive or gram-negative bacterial and fungal attacks. As a therapeutic agent, the sulfonamides have been reported as antitumor and antimicrobial agents against bacteria, being more potent against gram positive rather than gram negative strains. Design of new classes of inhibitors bearing fluorescent tails, as therapeutic and imaging agents, is currently an active area of research. Here, we describe the synthesis of a new family of polyamides based on chlorophenyl-3,5-diaminobenzamides, methyl substituted pyrimidinoamido-3,5-diamino- benzamides and methyl substituted pyrimidinosulfonamido-3,5-diaminobenzamides and evaluation of their thermal, optical and antimicrobial properties. We report the synthesis of a new series of nanosized polyamides containing bioactive pendent structures. The spherical nanosized polymer particles are soluble in many organic solvents and exhibited emissions ranging from blue to orange wavelength depending on the nature of the signaling unit. Pyrimidine- and p-chloroaromatic containing polymers exhibited higher bioactivity than that contain the sulfonamide group. The amidopyrimidine polymers exhibited remarkable antifungal and antibacterial activity and thus, these types of polymers are promising candidates for biomedical applications. The SEM analysis indicated that most of the polyamides were organized as well defined nano sized spheres, but in certain derivatives small amount of aggregated nanospheres were also observed. Thermal analyses were studied up to 700 °C and results showed comparable thermal behavior. The optical results revealed that polymeric series (A) exhibited orange emission, series (B) showed green emission while series (C) exhibited yellow and blue emissions. Benzene/pyridine structure interchange resulted in red shifted peaks attributed to the localized lone pair of electrons on a nitrogen atom which offer a greater electron affinity and better electron-transporting properties. The amido- and sulfonamide pyrimidine containing polymers exhibited the most potent antimicrobial activity. Relative to the reference Gentamicin, the polymer 54 exhibited comparable antibacterial activity against gram negative bacteria. Analogues 52 and 57 exhibited remarkable antibacterial activities compared to the references used. Thus, these polyamides are likely to be promising broad spectrum antibacterial agents and deserve further investigation at the molecular level. The synthesis and characterization of a new series of nanosized polyamides containing chloroaromatic (A), pyrimidinoamido- (B) and pyrimidosulfonamido- (C) pendent structures as promising candidates for biomedical applications is described. Polymer–drug structures are currently known constructs that chemically combine the bioactive part with a specific region of the polymer to ensure its delivery to the targeted intracellular compartment . Several synthetic approaches have been published to bond the polymer and drug either in the polymer backbone or in the side-chain [2–4]. The development of longer term bioactive antimicrobial polymers is a research area focused on solving microorganism’s contamination problems . Polymer modifications to achieve such activity include incorporation of known antimicrobial compounds such as hydantoins, glycolylureas, imidazolidinones and oxazolidinones [6–8]. In addition, several studies have reported the incorporation of a pyrimidine ring into the polymeric backbone. Incorporation of pyrimidine nuclei modify the polymer’s solubility and processability due to the possibility of protonation and/or alkylation of the lone pair. Moreover, the electronegative nitrogen atoms offers many substituted pyrimidine structures through direct substitution reactions [9–12]. Sulfonamides have been used in therapeutics for many years [13, 14]. The sulfonamide derivatives have been reported to show substantial antitumor activity in vitro and/or in vivo [15–18], HIV protease inhibitors [19, 20] and cell entry . The polysulfonamide is an active agent that shields the toxic polycations. The copolymers possess higher activity toward fungi than against bacteria and being more gram positive rather than gram negative as it is common. A novel strategy for cancer treatment based on a new class of inhibitors bearing fluorescent tails is currently an active research area for use therapeutic and imaging agents for poorly responsive tumors to classical chemo- and radiotherapies. For instance, a bioactive novel fluorescent fluoro poly(amide–sulfonamide)s possessed distinctive structure as well as unique properties were reported . We previously succeeded in preparing nanosized aromatic polyamides with remarkable electrical and biomedical properties [23–29]. Herein, we describe the preparation of novel nanosized aromatic polyamides with bioactive pendant structures comprised of substituted pyrimidines that act as signaling units due to their fluorescent and chromogenic characteristics. We report the synthesis of novel diamine types derived from isomeric chlorophenyl-3,5-dinitrobenzamides, isomeric methyl substituted pyrimidinoamido-3,5-dinitrobenzamides and isomeric methyl substituted pyrimidinosulfonamido-3,5-dinitrobenzamides. Subsequent reactions of these diamines with the readily available isophthaloyl chloride or pyridine-2,6-dicarbonyl dichloride furnished a new series of bioactive, fluorescent aromatic polyamides containing chloroaromatic, pyrimidinoamido-, pyrimidine- sulfonamido pendent structures, respectively. Evaluation of thermal, optical and antimicrobial properties of the prepared polymers are also described. Melting points were determined with an electrothermal melting point apparatus and are not corrected. Infrared spectra (IR, KBr pellets; 3 mm thickness) were recorded on a Perkin-Elmer Infrared Spectrophotometer (FT-IR 1650). All spectra were recorded within the wave number range of 600–4,000 cm−1 at 25 °C. 1H-NMR and 13C-NMR spectra were recorded using the JEOL 500 mHZ spectrometer operating in DMSO-d6 and expressed on the δ scale ppm. Absorption spectra were measured with a UV 500 UV–vis spectrometer at room temperature (r.t) in DMSO with a polymer concentration of 2 mg/10 ml. Inherent viscosities (η inh) were measured at a concentration of 0.5 g/100 dL in DMSO at 30 °C by using an Ubbelohde Viscometer. Differential thermo gravimetric (DTG) analyses were carried out in the temperature range from 20 to 700 °C in a steam of nitrogen atmosphere by a Shimadzu DTG 60H thermal analyzer. The experimental conditions were: platinum crucible, nitrogen atmosphere with a 30 ml/min flow rate and a heating rate 20 °C/min. Thermo gravimetric (TGA) analyses were carried out using SDTQ600-V20.5-Build-15. (DTG), (TGA) and elemental analyses were performed at the Microanalytical Unit, Cairo University. The morphologies of polymer nanoparticles were observed by Scanning Electron Microscope (SEM) (JEOL-JSM5300), at the E-Microscope Unit; Faculty of Science, Alexandria University. The samples were sonicated in de-ionized water for 5 min and deposited onto carbon coated copper mesh and allowed to air-dry before the examination. The antimicrobial activities were carried out using diffusion agar techniques and the evaluation of cytotoxicity against HepG-2, HCT-116 and MCF-7 cell lines were performed at the antimicrobial unit and the regional center of mycology and biotechnology, Al-Azhar University, Cairo. The appropriate commercial amine 3–7, 18–20 and 27–29 (13.05 mmol) dissolved in DMF (20 ml) was treated with 3,5 dinitrobenzoyl chloride 2 (13.05 mmol). The mixture was stirred for 20 h at r.t and then it was poured into cold water and filtered and the obtained 3,5-dinitrobenzamides were dried in a vacuum oven at 60 °C. The following data were recorded: 3,5-Dinitro-N-phenylbenzamide 8: Yield: (3 g, 80 %), m.p. 226 °C. IR (ν, cm−1): 3,461, 3,290 (NHstr), 3,104 (CHstr arom), 1,653 (C=Ostr amide), 1,600 (C=Cstr arom), 1,537 (NO2asym str), 1,494, 1,441, 1,340 (NO2sym str), 1,272, 1,162, 1,108, 1,076, 948, 916, 862, 816, 760, 726, 692, 568, 512. 1H-NMR (500 MHz, DMSO): δ 9.14 (s, 1H, CONH), 9.11 (s, 2H, H5, H6 arom), 8.97 (s, 1H, H2 arom. ), 7.76–7.13 (m, 5H, C6H5). Elemental analysis calculated for C13H9N3O5: C, 54.35; H, 3.13; N, 14.63. Found: C, 54.71; H, 3.50; N, 14.91. N-(2-Chlorophenyl)-3,5-dinitrobenzamide 9: Yield: (6.1 g, 73 %), m.p. 204 °C. IR (ν, cm−1): 3,448, 3,253 (NHstr), 3,099 (CHstr arom), 1,657 (C=Ostr amide), 1,589 (C=Cstr arom), 1,537 (NO2asym str), 1,471, 1,436, 1,343 (NO2sym str), 1,307, 1,270, 1,163, 1,106, 1,077, 917, 823, 765 (C–Clstr), 748, 676, 572. Elemental analysis calculated for C13H8ClN3O5: C, 48.50; H, 2.48; N, 13.06. Found: C, 48.21; H, 2.63; N, 13.29. N-(3-Chlorophenyl)-3,5-dinitrobenzamide 10: Yield: (6.8 g, 81.2 %), m.p. 219 °C. IR (ν, cm−1): 3,429, 3,281 (N–Hstr), 3,100 (C–Hstr aromatic), 1,663 (C=Ostr amide), 1,628, 1,595 (C=Cstr arom), 1,541 (NO2asym str), 1,477, 1,421, 1,344 (NO2sym str), 1,304, 1,257, 1,163, 1,079, 1,005, 917, 883 (C–Clstr), 833, 790, 726, 689, 567, 534. Elemental analysis calculated for C13H8ClN3O5: C, 48.50; H, 2.48; N, 13.06. Found: C, 48.73; H, 2.66; N, 13.32. N-(4-Chlorophenyl)-3,5-dinitrobenzamide 11: Yield: (2.6 g, 62 %), m.p. 198 °C. IR (ν, cm−1): 3,419, 3,270 (NHstr), 3,182, 3,097 (C–Hstr arom), 2,920, 1,653 (C=Ostr amide), 1,598 (C=Cstr arom), 1,543 (NO2 asym str), 1,493, 1,397, 1,343 (NO2symstr), 1,263, 1,163, 1,164, 1,090, 1,013, 955, 918, 869 (C–Clstr), 827, 707, 509. Elemental analysis calculated for C13H8ClN3O5: C, 48.50; H, 2.48; N, 13.06. Found: C, 48.22; H, 2.18; N, 13.36. N-(4-(N-(2-Chlorophenyl)sulfamoyl) phenyl)-3,5-dinitrobenzamide 12: Yield: (3.6 g, 57 %), m.p. 210 °C. IR (ν, cm−1): 3,361 (NHstr SO2NH), 3,254 (NHstr CONH), 3,090 (C–Hstr arom), 1,691, 1,628 (C=Ostr amide), 1,593 (C=Cstr arom), 1,537 (NO2 str), 1,482, 1,398, 1,339 (SO2 asymstr), 1,264, 1,158 (SO2symstr), 1,087, 912, 835, 759 (C-Clstr), 724, 684, 638, 565, 449. Elemental analysis calculated for C19H13ClN4O7S: C, 47.84; H, 2.73; N, 11.75; S, 6.71. Found: C, 47.37; H, 2.99; N, 11.47; S, 6.51. 3,5-Dinitro-N-(pyrimidin-2-yl) benzamide 21: Yield: (3.3 g, 53 %), m.p. 175 °C. IR (ν, cm−1): 3,307 (NHstr), 3,091 (NHstr), 2,961 (CHstr arom), 2,882, 2,677, 2,540, 1,854, 1,705, 1,627 (C=Ostr amide), 1,543 (NO2asymstr), 1,470, 1,415, 1,350 (NO2symstr), 1,284 (C–Nstr arom), 1,179, 1,078, 922, 799, 725, 695, 642, 532. Elemental analysis calculated for C11H7N5O5: C, 45.67; H, 2.42; N, 24.20. Found: C, 45.36; H, 2.73; N, 24.51. N-(4-Methylpyrimidin-2-yl)-3,5-dinitrobenzamide 22: Yield: (3.4 g, 52 %), m.p. 200 °C. IR (ν, cm−1): 3,332 (NHstr), 3,091 (NHstr), 3,006 (CHstr arom), 2,962, 2,881 (CHstr), 2,676, 2,539, 1,967, 1,852, 1,705, 1,628 (C=Ostr amide), 1,600 (C=Cstr arom), 1,544 (NO2asymstr), 1,470, 1,414, 1,350 (NO2symstr), 1,284 (C-Nstr arom), 1,179, 1,076, 921, 807, 783, 725, 694, 643, 531. 1H NMR (500 MHz, DMSO) δ; 9.16 (1H, s, CONH), 9.11 (2H, s, H5 and H6 arom), 9.04 (1H, s, H2 arom), 8.17 (1H, d, pyrimidine H6′), 6.88 (1H, d, pyrimidine H5′), 2.43 (3H, s, CH3). Elemental analysis calculated for C12H9N5O5: C, 47.50; H, 2.97; N, 23.10. Found: C, 47.81; H, 2.63; N, 22.84. N-(4,6-Dimethylpyrimidin-2-yl)-3,5-dinitrobenzamide 23: Yield: (3.5 g, 64 %), m.p. 168 °C. IR (ν, cm−1): 3,343 (NHstr), 3,093(NHstr), 3,028 (CHstr arom), 2,881 (CHstr), 2,677, 2,540, 1,974, 1,701, 1,626 (C=Ostr amide), 1,541(NO2asym str), 1,469, 1,417, 1,348 (NO2symstr), 1,285, 1,181, 1,077, 925, 834, 787, 724, 696, 634, 524. Elemental analysis calculated for C13H11N5O5: C, 49.21; H, 3.47; N, 22.08. Found: C, 49.48; H, 3.71; N, 21.92. 3,5-Dinitro-N-(4-(N-pyrimidin-2-yl sulfamoyl) phenyl) benzamide 30: Yield: (2.6 g, 68 %), m.p. 291 °C. IR (ν, cm−1): 3,399 (NHstr SO2NH), 3,102 (NHstr CONH), 3,040 (CHstr arom), 2,936, 2,868, 2,811, 2,732, 1,682 (C=Ostr amide), 1,626, 1,587 (C=Cstr arom), 1,537 (NO2 str), 1,492, 1,444, 1,406, 1,342 (SO2 asymstr), 1,266 (CNstr arom), 1,165 (SO2 symstr), 1,091, 1,001, 948, 921, 838, 798, 724, 680, 644, 570, 518. 1H-NMR (500 MHz, DMSO) δ 9.136 (s, 1H, CONH), 9.11 (s, 2H, H5, H6 arom), 8.8 (s, 1H, H2 arom), 8.47 (m, 2H, H4″ and H6″ arom), 7.98 (m, 2H, H2′ arom), 7.84 (m, 2H, H3′ arom), 7.02 (m, 1H, H5″ arom), 4.01 (s, 1H, SO2NH). MS-EI (m/z): 444 (4 M +), 410 (19), 407 (79), 361 (7), 304 (8), 277 (46), 249 (100), 232 (27), 205 (95), 152 (46), 140 (17), 127 (20), 77 (7), 29 (92). Elemental analysis calculated for C17H12N6O7S. DMF: C, 48.54; H, 4.89; N, 18.11; S, 5.18. Found: C, 48.06; H, 3.62; N, 18.07; S, 6.47. N-(4-(N-(4-Methylpyrimidin-2-yl) sulfamoyl) phenyl)-3,5-dinitrobenzamide 31: Yield: (2.9 g, 73 %), m.p. 258 °C. IR (ν, cm−1): 3,453 (NHstr SO2NH), 3,401 (NHstr CONH), 3,100 (C–Hstr arom), 2,859 (CHstr), 2,776, 1,685 (C=Ostr amide), 1,597, 1,541 (NO2str), 1,499, 1,446, 1,403, 1,345 (SO2 asym str), 1,289, 1,269 (CNstr arom), 1,242, 1,209, 1,159 (SO2symstr), 1,086, 966, 917, 890, 840, 795, 727, 677, 577. Elemental analysis calculated for C18H14N6O7S: C, 47.16; H, 3.06; N, 18.34; S, 6.98. Found: C, 47.43; H, 3.39; N, 18.67; S, 7.23. N-(4-(N-(4,6-Dimethylpyrimidin-2-yl) sulfamoyl) phenyl)-3,5-dinitrobenzamide 32: Yield: (3.5 g, 57 %), m.p. 238 °C. IR (ν, cm−1): 3,438 (NHstr SO2NH), 3,111 (NHstr CONH), 2,921 (C–Hstr arom), 2,854 (CHstr), 1,682 (C=Ostr amide), 1,628, 1,599 (C=Cstr arom), 1,541 (NO2str), 1,436, 1,401, 1,345 (SO2 asymstr), 1,265 (CNstr arom), 1,159 (SO2 sym str), 1,141, 1,082, 1,031, 975, 919, 866, 842, 782, 715, 668, 587. Elemental analysis calculated for C19H16N6O7S: C, 48.30; H, 3.39; N, 17.79; S, 6.78. Found: C, 47.98; H, 2.89; N, 17.43; S, 7.02. The above described 3,5-Dinitrobenzamide derivatives (3 g) dissolved in 30 ml of ethanol were treated with 100 mg of Pd/C (10 %). Hydrazine hydrate (15 ml) was added dropwise over a period of 1 h and the mixture was heated at 90 °C for 15 h. The catalyst was removed by filtration and the filtrate was concentrated under vacuum to dryness. The obtained solid was dried in a vacuum oven at 60 °C. 3,5-Diamino-N-phenylbenzamide 13: Yield: 80 %, m.p. 197 °C. IR (ν, cm−1): 3,437, 3,384 (NH2 str), 3,282 (NHstr), 3,057 (CHstr arom), 3,015, 2,923, 1,652 (C=Ostr amide), 1,595 (C = Cstr arom), 1,532 (NH2), 1,498, 1,464, 1,435, 1,355 (CNstr), 1,314, 1,255, 1,185, 1,029, 1,001, 855, 770, 749, 711, 683, 604, 564, 526, 476. 1H-NMR (500 MHz, DMSO) δ 9.14 (s, 1H, CONH), 6.99–7.702 (m, 5H, ArH), 6.45 (s, 2H, H5, H6 arom), 6.33 (s, 2H, NH2), 6.03 (s, 1H, H2 arom). Elemental analysis calculated for 8; C13H13N3O: C, 68.72; H, 5.72; N, 18.50. Found: C, 68.44; H, 5.37; N, 18.28. N(2-Chlorophenyl)-3,5-diaminobenzamide 14: Yield: 85 %, m.p. 155 °C. IR (ν, cm−1): 3,454, 3,415, 3,369 (NH2str), 3,250 (NHstr), 3,081 (CHstr arom), 2,924, 1,680 (C=Ostr amide), 1,641, 1,587 (C=Cstr arom), 1,522 (NH2), 1,436, 1,348 (CNstr), 1,231, 1,053, 996, 936, 873, 807, 751, 733, 659, 551, 518, 436. Elemental analysis calculated for 14; C13H12ClN3O: C, 59.65; H, 4.59; N, 16.06. Found: C, 59.82; H, 4.76; N, 15.78. N(3-Chlorophenyl)-3,5-diaminobenzamide 15: Yield: 91 %, m.p. 205 °C. IR (ν, cm−1): 3,480, 3,406, 3,362 (NH2str), 3,225 (NHstr), 3,089 (CHstr), 2,924, 1,674 (C=Ostr, amide), 1,634, 1,593 (CHstr arom), 1,520 (NH2), 1,477, 1,419, 1,347 (CNstr), 1,274, 1,242, 1,107, 1,079, 996, 932, 905, 871, 815, 774, 730, 682, 598, 536, 437. Elemental analysis calculated for 15; C13H12ClN3O: C, 59.65; H, 4.59; N, 16.06. Found: C, 59.42; H, 4.92; N, 16.39. N(4-Chlorophenyl)-3,5-diaminobenzamide 16: Yield: 67 %, m.p. 139 °C. IR (ν, cm−1): 3,422, 3,394 (NH2str), 3,280 (NHstr), 1,640 (C=Ostr amide), 1,594 (CHstr arom), 1,526 (NH2), 1,491, 1,395, 1,353 (CNstr), 1,309, 1,246, 1,190, 1,092, 1,010, 855, 710, 494, 428. 1H NMR (500 MHz, DMSO) δ; 9.15 (1H, s, CONH), 8.01 (2H, d, H2′ Ar–Cl), 7.69 (2H, d, H3′ Ar–Cl), 6.29 (2H, s, H5 and H6 arom), 6.29 (4H, s, NH2), 5.49 (1H, s, H2 arom). Elemental analysis calculated for 16; C13H12ClN3O: C, 59.65; H, 4.59; N, 16.06. Found: C, 59.32; H, 4.86; N, 15.81. N(4-(N-(2-Chlorophenyl)sulfamoyl)phenyl)-3,5-diaminobenzamide 17: Yield: 41 %, m.p. 154 °C. IR (ν, cm−1): 3,425, 3,360 (NH2 str), 1,670 (C=Ostr amide), 1,592 (C = Cstr arom), 1,518 (NH2), 1,483, 1,400, 1,324 (SO2 asym str), 1,229, 1,189, 1,156 (SO2 symstr), 1,094, 1,057, 999, 921, 868, 831, 760 (C–Clstr), 727, 682, 595, 565. Elemental analysis calculated for 17; C19H17ClN4O3S: C, 54.74; H, 4.08; N, 13.44; S, 7.68. Found: C, 54.33; H, 4.41; N, 13.73; S, 7.39. 3,5-Diamino-N-(pyrimidin-2-yl) benzamide 24: Yield: 92 %, m.p. 200 °C. IR (ν, cm−1): 3,697, 3,453, 3,369 (NH2str), 3,086 (NHstr), 2,924 (CHstr arom), 2,656, 1,631 (C=Ostr amide), 1,572 (C=Cstr arom), 1,526 (NH2), 1,463, 1,391, 1,340 (CNstr), 1,295, 1,081, 999, 948, 917, 865, 797, 736, 657, 606, 544. Elemental analysis calculated for 24; C11H11N5O: C, 57.64; H, 4.80; N, 30.57. Found: C, 57.34; H, 4.78; N, 30.86. N(4-Methylpyrimidin-2-yl)-3,5-diaminobenzamide 25: Yield: 63 %, m.p. 118 °C. IR (ν, cm−1): 3,726, 3,340 (NH2str), 3,224 (NHstr), 2,966 (CHstr arom), 2,629, 2,076, 1,626 (C=Ostr amide), 1,567 (NH2), 1,469, 1,400 (CNstr), 1,157, 998, 941, 859, 762, 674, 562, 498. 1HNMR (500 MHz, DMSO) δ; 9.15 (1H, s, CONH), 8.23 (1H, d, pyrimidine H6′), 6.88 (1H, d, pyrimidine H5′), 6.38 (2H, s, H5 and H6 arom), 6.25 (4H, s, NH2), 5.97 (1H, s, H2 arom), 2.391 (3H, s, CH3). Elemental analysis calculated for 25; C12H13N5O: C, 59.26; H, 5.35; N, 28.80. Found: C, 59.63; H, 5.71; N, 29.03. N(4,6-Dimethylpyrimidin-2-yl)-3,5-diaminobenzamide 26: Yield: 84 %, m.p. 186 °C. IR (ν, cm−1): 3,697, 3,459, 3,379 (NH2 str), 3,087 (NHstr), 1,625 (C=Ostr amide), 1,575 (C=Cstr arom), 1,525 (NH2), 1,389, 1,337 (CNstr), 1,081, 948, 882, 792, 735, 656, 606, 438. Elemental analysis calculated for 26; C13H15N5O: C, 65.70; H, 5.83; N, 27.23. Found: C, 65.47; H, 5.52; N, 27.46. 3,5-Diamino-N-(4-(N-pyrimidin-2-yl)sulfamoyl)phenyl)benzamide 33: Yield: 46 %, m.p. 242 °C. IR (ν, cm−1): 3,448 (NHstr SO2NH), 3,422, 3,341 (NH2str), 3,204 (NHstr CONH), 1,635(C=Ostr amide), 1,609 (CHstr arom), 1,523 (NH2), 1,395, 1,356 (SO2 asymstr), 1,311, 1,253 (CNstr arom), 1,165, 1,135 (SO2symstr), 1,087, 1,012, 822, 779, 756, 692, 633, 553. 1H-NMR (500 MHz, DMSO): δ 9.14 (s, 1H, CONH), 8.47 (m, 2H, H4″, H6″ arom), 7.96 (m, 2H H2″, ArH), 7.84 (m, 2H, H3′, ArH), 7.01 (m, 1H, H5″ arom), 6.48 (s, 2H, H5, H6 arom), 6.31 (s, 2H, NH2), 5.98 (s, 1H, H2 dinitro arom), 4.01 (s, 1H, SO2NH). Elemental analysis calculated for 33; C17H16N6O3S: C, 53.12; H, 4.167; N, 21.87; S, 8.33. Found: C, 53.28; H, 4.36; N, 21.51; S, 8.12. N(4-(N-(4-Methylpyrimidin-2-yl)sulfamoyl)phenyl)-3,5-diaminobenzamide 34: Yield: 80 %, m.p. 216 °C. IR (ν, cm−1): 3,731, 3,464 (NHstr SO2NH), 3,412, 3,343 (NH2 str), 3,276, 3,082 (NHstr CONH), 1,928, 1,815, 1,667 (C=Ostr amide), 1,627, 1,590 (CHstr arom), 1,527 (NH2), 1,398, 1,332 (SO2 asymstr), 1,251 (CNstr arom), 1,192, 1,154 (SO2 symstr), 1,094, 873, 835, 688, 596, 545. Elemental analysis calculated for 34; C18H18N6O3S: C, 54.27; H, 4.52; N, 21.10; S, 8.04. Found: C, 54.52; H, 4.86; N, 21.39; S, 8.40. N(4-(N-(4,6-Dimethylpyrimidin-2-yl) sulfamoyl) phenyl)-3,5-diaminobenzamide 35: Yield: 40 %, m.p. 172 °C. IR (ν, cm−1): 3,561, 3,457 (NHstr SO2NH), 3,397, 3,361 (NH2str), 3,288 (NHstr CONH), 1,666 (C=Ostr amide), 1,599 (C=Cstr arom), 1,531 (NH2), 1,401, 1,368 (SO2 asymstr), 1,313 (CNstr), 1,258 (CNstr arom), 1,186, 1,139 (SO2symstr), 1,079, 1,029, 962, 848, 780, 713, 677, 588, 548. Elemental analysis calculated for 35; C19H20N6O3S: C, 55.34; H, 4.85; N, 20.39; S, 7.76. Found: C, 55.58; H, 5.09; N, 20.61; S, 7.99. The readily available isophthaloyl chloride (2.20 mmol) was slowly added to a stirred solution of the appropriate diamine 13–17 (2.20 mmol) dissolved in 10 ml DMA at 0 °C (ice bath). The mixture was stirred overnight at r.t then it was poured into iced water. The precipitate was collected by filtration, washed thoroughly with water, ethanol, and water again and dried in a vacuum oven at 80 °C. Following the general method described above, isophthaloyl dichloride reacted with 3,5-diamino-N-phenylbenzamide 13 to give the polyamide 36. The following data were recorded: Yield: 0.8 g, 97 %, m.p >300 °C, η inh = 1.48 dL/g. IR (ν, cm−1): 3,727, 3,275 (NHstr), 3,094 (CHstr arom), 2,924, 1,663 (C=Ostr amide), 1,600 (C=Cstr arom), 1,535, 1,441, 1.327, 1,239, 1,077, 1,010, 871, 820, 755, 715, 686, 585, 530. Elemental analysis calculated for the polyamide 36 (C21H15N3O3)n.H2O: C, 67.20; H, 4.53; N, 11.20. Found: C, 67.51; H, 4.78; N, 11.43. Following the general method described above, isophthaloyl dichloride reacted N-(2-chloro phenyl)-3,5-diaminobenzamide 14 to give the polyamide 37. The following data were recorded: Yield: 0.39 g, 50 %, m.p >300 °C, η inh = 0.14 dL/g. IR (ν, cm−1): 3,387, 3,235 (NHstr amide), 3,081 (CHstr arom), 1,688, 1,660 (C=Ostr amide), 1,590 (C=Cstr arom), 1,532, 1,437, 1,343, 1,311, 1,237, 1,133, 1,085, 1,057, 947, 896, 817, 733 (C–Clstr), 688, 593, 551, 441. Elemental analysis calculated for polyamide 37 (C21H14ClN3O3)n.H2O: C, 61.50; H, 3.90; N, 10.26. Found: C, 61.22; H, 4.31; N, 10.59. Following the general method described above, isophthaloyl dichloride reacted N-(3-chlorophenyl)-3,5-diaminobenzamide 15 to give the polyamide 38; yield: 0.48 g, 62 %, m.p >300 °C, η inh = 0.28 dL/g. IR (ν, cm−1): 3,291 (NHstr amide), 3,187, 3,081 (CHstr arom), 3,009, 2,883, 2,665, 2,553, 1,689, 1,661 (C=Ostr amide), 1,593 (C=Cstr arom), 1,533, 1,480, 1,421, 1,342, 1,285, 1,166, 1,080, 998, 893, 825 (C–Clstr), 780, 730, 685, 598, 539, 439. Elemental analysis calculated for polyamide 38 (C21H14ClN3O3)n.H2O: C, 61.50; H, 3.90; N, 10.26. Found: C, 61.79; H, 3.62; N, 10.54. Following the general method described above, isophthaloyl dichloride reacted N-(4-chlorophenyl)-3,5-diaminobenzamide 16 to give the polyamide 39; yield: 0.75 g, 95 %, m.p >300 °C, η inh = 0.47 dL/g. IR (ν, cm−1): 3,298 (NHstr amide), 3,109 (CHstr aromatic), 1,661 (C=Ostr amide), 1,599 (C=Cstr arom), 1,535, 1,492, 1,445, 1,398, 1,330, 1,242, 1,090, 1,009, 874 (C–Clstr), 825, 719, 591, 504, 432. Elemental analysis calculated for polyamide 39 (C21H14ClN3O3)n. H2O: C, 61.50; H, 3.90; N, 10.26. Found: C, 61.83; H, 4.28; N, 10.61. Following the general method described above, isophthaloyl dichloride reacted N-(4-(N-(2-chlorophenyl)sulfamoyl) phenyl)-3,5-diaminobenzamide 17 to give the polyamide 40; yield: 0.65 g, 96 %, m.p >300 °C, η inh = 0.89 dL/g. IR (ν, cm−1): 3,339 (NHstr amide), 3,105 (C–Hstr arom), 2,925, 1,924, 1,665 (C=Ostr amide), 1,594 (C=Cstr arom), 1,528, 1,484, 1,446, 1,401, 1,330 (SO2 asym str), 1,250, 1,158 (SO2 sym str), 723, 686, 563. Elemental analysis calculated for polyamide 40 (C27H19ClN4O5S)n.H2O: C, 57.40; H, 3.72; N, 9.92; S, 5.67. Found: C, 57.79; H, 3.38; N, 9.56; S, 5.65. The readily available pyridine 2,6-dicarbonyl dichloride (2.20 mmol) was the appropriate diamine 13-17 (2.20 mmol) following the above mentioned general method. Following the general method described above, pyridine 2,6-dicarbonyl dichloride reacted with 3,5-diamino-N-phenylbenzamide 13 to give the polyamide 41. The following data were recorded: Yield: 0.8 g, 96 %, m.p >300 °C, ηinh = 1.44 dL/g. IR (ν, cm−1): 3,427 (NHstr amide), 2,968 (CHstr arom), 2,924, 1,675 (C=Ostr amide), 1,600 (C=Cstr arom), 1,531, 1,444, 1,328 (CNstr arom), 1,238, 1,184, 1,135, 1,076, 1,047, 997, 872, 749, 680, 530. Elemental analysis calculated for the polyamide 41 (C20H14N4O3)n.H2O: C, 63.80; H, 4.25; N, 14.89. Found: C, 63.52; H, 4.61; N, 14.51. Following the general method described above, pyridine 2,6-dicarbonyl dichloride reacted with N-(2-chlorophenyl)-3,5-diaminobenzamide 14 to give the polyamide 42; yield: 0.38 g, 48 %, m.p >300 °C, ηinh = 0.47 dL/g. IR (ν, cm−1): 3,785, 3,726, 3,698, 3,469, 3,406 (NHstr aromatic), 3,312 (NHstr amide), 2,926 (CHstr arom), 1,688, 1,623 (C=Ostr amide), 1,591 (C=Cstr arom), 1,532, 1,438, 1,346 (CNstr arom), 1,218, 1,135, 1,078, 1,034, 1,000, 942, 898, 845, 814,744 (C-Clstr), 680, 555. Elemental analysis calculated for polyamide 42 (C20H13ClN4O3)n.H2O: C, 58.46; H, 3.65; N, 13.64. Found: C, 58.76; H, 3.34; N, 13.25. Following the general method described above, pyridine 2,6-dicarbonyl dichloride reacted with N-(3-chlorophenyl)-3,5-diaminobenzamide 15 to give the polyamide 43; yield: 0.37 g, 47 %, m.p >300 °C, ηinh = 0.52 dL/g. IR (ν, cm−1): 3,728, 3,427 (NHstr arom), 3,298 (NHstr amide), 3,107 (CHstr arom), 1,677 (C=Ostr amide), 1,599 (C=Cstr arom), 1,533, 1,493, 1,449, 1,397, 1,310 (CNstr arom), 1,239, 1,190, 1,142, 1,084, 1,004, 942, 873 (C–Clstr), 828, 748, 678, 504. Elemental analysis calculated for the polyamide 43 (C20H13ClN4O3)n.H2O: C, 58.46; H, 3.65; N, 13.64. Found: C, 58.71; H, 3.89; N, 13.27. Following the general method described above, pyridine 2,6-dicarbonyl dichloride reacted with N-(4-chlorophenyl)-3,5-diaminobenzamide 16 to give the polyamide 44; yield: 0.67 g, 85 %, m.p >300 °C, ηinh = 0.72 dL/g. IR (ν, cm−1): 3,728, 3,298 (NHstr amide), 3,106 (C–Hstr arom), 2,117, 1,988, 1,678 (C=Ostr amide), 1,599 (C=Cstr arom), 1,533, 1,493, 1,449, 1,397, 1,310 (CNstr arom), 1,238, 1,189, 1,142, 1,085, 1,004, 942, 872, 828 (C–Clstr), 748, 678, 504. Elemental analysis calculated for the polyamide 44 (C20H13ClN4O3)n.H2O: C, 58.46; H, 3.65; N, 13.64. Found: C, 58.18; H, 3.26; N, 13.32. Following the general method described above, pyridine 2,6-dicarbonyl dichloride reacted with N-(4-(N-(2-chlorophenyl) sulfamoyl) phenyl)-3,5-diaminobenzamide 17 to give the polyamide 45; yield: 0.66 g, 97 %, m.p >300 °C, ηinh = 0.75 dL/g. IR (ν, cm−1): 3,266 (N–Hstr amide), 3,105 (CHstr arom), 2,396, 1,781, 1,682 (C=Ostr amide), 1,595 (C=Cstr arom), 1,527, 1,485, 1,452, 1,400, 1,330 (SO2asymstr), 1,253, 1,222, 1,159 (SO2symstr), 1,091, 1,056, 1,000, 916, 837, 752, 725 (C–Clstr), 683, 628, 562. Elemental analysis calculated for the polyamide 45 (C26H18ClN5O5S)n.H2O: C, 55.17; H, 3.50; N, 12.38; S, 5.66. Found: C, 55.49; H, 3.82; N, 12.59; S, 5.94. Isophthaloyl chloride (2.20 mmol) was treated with a solution of the appropriate diamine 24–26 (2.20 mmol) following the general procedure described above. Following the general method, isophthaloyl dichloride was treated with 3,5-diamino-N-(pyrimidin-2-yl)benzamide 24 to furnish the polymer 46; yield: 0.66 g, 88 %, m.p >300 °C, η inh = 0.80 dL/g. IR (ν, cm−1): 3,399 (NHstr amide), 2,924 (CHstr arom), 1,655 (C=Ostr amide), 1,536 (C=Cstr arom), 1,346, 1,267, 1,086, 904, 784, 733, 682, 594. Elemental analysis calculated for the polyamide 46 (C19H13N5O3)n.H2O: C, 60.48; H, 3.98; N, 18.56. Found: C, 60.18; H, 3.61; N, 18.22. Following the general method, isophthaloyl dichloride was treated with N-(4-methylpyrimidin -2-yl)-3,5-diaminobenzamide 25 to furnish the polymer 47; yield: 0.7 g, 88 %, m.p >300 °C, η inh = 1.16 dL/g. IR (ν, cm−1): 3,432 (NHstr amide), 2,924 (CHstr arom), 1,657 (C=Ostr amide), 1,610 (C=Cstr arom), 1,543, 1,448, 1,333, 1,231, 876, 772, 713, 597. Elemental analysis calculated for the polyamide 47 (C20H15N5O3)n.H2O: C, 61.38; H, 4.35; N, 17.90. Found: C, 61.64; H, 4.58; N, 17.52. Following the general method, isophthaloyl dichloride was treated with N-(4,6-dimethyl pyrimidin-2-yl)-3,5-diaminobenzamide 26 to furnish the polymer 48; yield: 0.65 g, 83 %, m.p >300 °C, η inh = 0.96 dL/g. IR (ν, cm−1): 3,396 (NHstr amide), 2,924 (CHstr arom), 1,658 (C=Ostr amide), 1,536 (C=Cstr arom), 1,435, 1,346, 1,268 (CNstr arom), 1,087, 905, 785, 733, 682, 596. Elemental analysis calculated for the polyamide 48 (C21H17N5O3)n.H2O: C, 62.20; H, 4.69; N, 17.28. Found: C, 62.60; H, 4.24; N, 17.57. Pyridine 2,6-dicarbonyl dichloride (2.20 mmol) was treated with a solution of the appropriate diamine 24–26 (2.20 mmol) in DMA as described earlier. Following the described general method, pyridine 2,6-dicarbonyl dichloride was reacted with 3,5-diamino-N-(pyrimidin-2-yl) benzamide 24 to produce the polymer 49; yield: 0.74 g, 80 %, m.p >300 °C, ηinh = 0.32 dL/g. IR (ν, cm−1): 3,438 (NHstr amide), 2,923 (CHstr arom), 2,856, 1,696, 1,666 (C=Ostr amide), 1,629 (C=Nstr arom), 1,595 (C=Cstr arom), 1,536, 1,436, 1,346 (C–Nstr arom), 1,278, 1,222, 1,136, 1,078, 1,000, 906, 843, 784, 742, 658, 601. Elemental analysis calculated for polyamide 49 (C18H12N6O3)n.H2O: C, 57.14; H, 3.70; N, 22.20. Found: C, 57.48; H, 3.41; N, 22.52. Following the described method, pyridine-2,6-dicarbonyl dichloride was treated with N-(4-methylpyrimidin-2-yl)-3,5-diaminobenzamide 25 to give the polymer 50; yield: 0.8 g, 83 %, m.p >300 °C, ηinh = 0.54 dL/g. IR (ν, cm−1): 3,726, 3,435 (NHstr amide), 2,924 (CHstr arom), 2,858 (CHstr), 1,681 (C=Ostr amide), 1,607 (C=Cstr arom), 1,539, 1,453, 1,332 (CNstr arom), 1,297, 1,221, 1,139, 1,078, 997, 873, 775, 743, 670, 617. Elemental analysis calculated for polyamide 50 (C19H14N6O3)n.H2O: C, 58.16; H, 4.08; N, 21.43. Found: C, 58.41; H, 4.39; N, 21.16. Following the method described earlier, pyridine-2,6-dicarbonyl dichloride was reacted with N-(4,6-dimethylpyrimidin-2-yl)-3,5-diaminobenzamide 26 to give the polymer 51; yield: 0.75 g, 76 %, m.p >300 °C, ηinh = 0.28 dL/g. IR (ν, cm−1): 3,444 (NHstr arom), 3,294 (NHstr amide), 3,093 (CHstr arom), 2,926, 2,860 (CHstr), 1,695, 1,667 (C=Ostr amide), 1,595 (C=Cstr arom), 1,537, 1,434, 1,347 (CNstr arom), 1,281, 1,223, 1,139, 1,079, 1,000, 906, 843, 786, 743, 660, 601. Elemental analysis calculated for the polyamide 51 (C20H16N6O3)n.H2O: C, 59.10; H, 4.43; N, 20.69. Found: C, 59.38; H, 4.71; N, 20.37. Isophthaloyl chloride (2.20 mmol) was reacted with the appropriate diamine 33–35 (2.20 mmol) following the general method described above. Following the general method described above, isophthaloyl dichloride was reacted with 3,5-diamino-N-(4-(N-pyrimidin-2-ylsulfamoyl)phenyl)benzamide 33 to give the polymer 52; yield: 1.2 g, 91 %, m.p >300 °C, ηinh = 1.16 dL/g. IR (ν, cm−1): 3,435 (NHstr amide), 2,924 (CHstr arom), 1,659 (C=Ostr amide), 1,597 (C=Cstr arom), 1,531, 1,443, 1,326 (SO2asymstr), 1,249, 1,154 (SO2symstr), 899, 830, 683, 593, 546. Elemental analysis calculated for the polyamide 52 (C25H18N6O5S)n.H2O: C, 56.39; H, 3.76; N, 15.79; S, 6.01. Found: C, 56.52; H, 3.44; N, 15.63; S, 6.34. Following the same described method, isophthaloyl dichloride was treated with N-(4-(N-(4-methylpyrimidin-2-yl) sulfamoyl) phenyl)-3,5-diaminobenzamide 34 to furnish the polymer 53; yield: 1 g, 80 %, m.p >300 °C, ηinh = 0.70 dL/g. IR (ν, cm−1): 3,404 (NHstr amide), 2,924 (CHstr arom), 1,665 (C=Ostr amide), 1,596 (C=Cstr arom), 1,531, 1,437, 1,400, 1,327 (SO2asymstr), 1,247, 1,154 (SO2symstr), 1,094, 898, 831, 684, 592, 546. Elemental analysis calculated for the polyamide 53 (C26H20N6O5S)n.H2O: C, 57.14; H, 4.03; N, 15.38; S, 5.86. Found: C, 57.48; H, 4.36; N, 15.66; S, 6.09. Following the same described method given above, isophthaloyl dichloride was reacted with N-(4-(N-(4,6-dimethylpyrimidin-2-yl)sulfamoyl)phenyl)-3,5-diaminobenzamide 35 to produce the polymer 54; yield: 0.6 g, 98 %, m.p >300 °C, ηinh = 0.81 dL/g. IR (ν, cm−1): 3,432 (NHstr amide), 2,924 (CHstr arom), 1,678 (C=Ostr amide), 1,599 (C=Cstr arom), 1,534, 1,441, 1,301 (SO2asymstr), 1,259, 1,154 (SO2symstr), 1,081, 862, 723, 685, 587. Elemental analysis calculated for the polyamide 43 (C27H22N6O5S)n.H2O: C, 57.86; H, 4.28; N, 15.00; S, 5.71. Found: C, 57.64; H, 4.59; N, 14.72; S, 5.43. Pyridine 2,6-dicarbonyl dichloride (2.20 mmol) was treated with s solution of the appropriate diamine 22–24 in DMA as described earlier. Pyridine 2,6-dicarbonyl dichloride was treated with 3,5-diamino-N-(4-(N-pyrimidin-2-yl sulfamoyl) phenyl)benzamide 33 following the described method mentioned earlier to give the polymer 55; yield: 1.24 g, 95 %, m.p >300 °C, ηinh = 0.24 dL/g. IR (ν, cm−1): 3,726, 3,435 (NHstr amide), 2,923 (CHstr arom), 2,856, 1,668 (C=Ostr amide), 1,595 (C=Cstr arom), 1,528, 1,447, 1,398, 1,321 (SO2asymstr), 1,247, 1,153 (SO2symstr), 1,091, 888, 834, 748, 681, 590. Elemental analysis calculated for the polyamide 55 (C24H17N7O5S)n.H2O: C, 54.03; H, 3.56; N, 18.39; S, 6.00. Found: C, 54.32; H, 3.81; N, 18.65; S, 6.21. Pyridine-2,6-dicarbonyl dichloride was reacted with N-(4-(N-(4-methylpyrimidin-2-yl)sulfamoyl) phenyl)-3,5-diaminobenzamide 34 to give the polymer 56; yield: 1.2 g, 89 %, m.p >300 °C, ηinh = 0.35 dL/g. IR (ν, cm−1): 3,726, 3,437 (NHstr amide), 2,924 (CHstr arom), 2,857 (CHstr), 1,678 (C=Ostr amide), 1,595 (C=Cstr arom), 1,529, 1,449, 1,398, 1,322 (SO2asymstr), 1,248, 1,153 (SO2symstr), 1,089, 1,004, 895, 834, 739, 680, 593. Elemental analysis calculated for polyamide 56 (C25H19N7O5S)n.H2O: C, 54.84; H, 3.84; N, 17.91; S, 5.85. Found: C, 55.09; H, 4.17; N, 17.62; S, 6.19. Pyridine-2,6-dicarbonyl dichloride was treated with N-(4-(N-(4,6-dimethylpyrimidin-2-yl) sulfamoyl) phenyl)-3,5-diaminobenzamide 35 to give the polymer 46; yield: 1.2 g, 87 %, m.p >300 °C, η inh = 0.55 dL/g. IR (ν, cm−1): 3,440 (NHstr amide), 2,923 (CHstr arom), 2,856 (CHstr), 1,680 (C=Ostr amide), 1,597 (C=Cstr arom), 1,530, 1,444, 1,309 (SO2asymstr), 1,249, 1,151 (SO2 asymstr), 1,077, 1,003, 841, 787, 747, 679, 585. Elemental analysis calculated for polyamide 57 (C26H21N7O5S)n.H2O: C, 55.61; H, 4.10; N, 17.47; S, 5.70. Found: C, 55.90; H, 4.36; N 17.73; S, 5.34. The appropriate, readily available isophthaloyl dichloride, pyridine 2,6-dicarbonyl dichloride or the prepared one 60 (0.5 mmol) and the appropriate diamine 13–17, 24–26, 33–35 or 61–66 (0.5 mmol) were separately dissolved in dioxane (50 mL). Distilled water (10 mL) was added to the diamine and the entire solution was added to the acid chloride. The resulted turbid solution was ultrasonicated at 42 kHz in a water bath for a period of 30 min. The polymer colloidal solution was extracted by centrifugal separation for 15 min. at 6,000 rpm and the resulted precipitate were carefully washed with methanol and water to purify the product of any unreacted monomer. The polymer samples were then dried in a vacuum oven at 60 °C for 10 h.
3,5-Diaminobenzamide containing pendent chloro aromatic structures 18–12, Scheme 1, were prepared by the reaction of 3,5-dinitrobenzoic acid 1 with thionyl chloride and the obtained acid chloride 2 was then subsequently treated with a number of commercial substituted anilines 3–6 or 4-amino-N-(2-chlorophenyl) benzenesulfonamide 7, respectively, in DMF to furnish the corresponding substituted 3,5-dinitrobenzamide 8–12. The FT-IR spectra exhibited bands in the region 3,253–3,361 cm−1 belong to the NHstr absorption, a band at 1,650 cm−1 due to C=O amide while the NO2 bands appeared at 1,541 and 1,340 cm−1, the SO2 appeared at 1,339 and 1,158 cm−1. The reaction of the dinitrobenzamides 8–12 with hydrazine hydrate/Pd–C (10 %) furnished the corresponding 3,5-diaminobenzamides 13–17, respectively, in good yields. The FT-IR spectra of diamines 13–17 showed absorption bands correspond to NH2 in the region 3,433–3,454 cm−1 and 3,360–3,394 cm−1, a characteristic band at 3,250 cm−1 due to the NH while the C=O bands were in region 1,640–1,680 cm−1. Similarly, 3,5-diaminobenzamide containing pendent pyrimidine or sulfonamide pyrimidine 24–26 and 33–35 were prepared by reaction the acid chloride 2 with the amines 18–20; namely: 2-aminopyrimidine 18, 2-amino-4-methylpyrimidine 19, 2-amino-4,6-dimethylpyrimidine 20 or aminosulfonamides 27-29 namely; sulfadiazine 27, sulfamerazine 28 and sulfamethazine 29, respectively, in DMF. The IR spectra of the prepared dinitro compounds 21–23 and 30–33 exhibited bands at 3,100 cm−1 correspond to the amide NH; bands in the region 1,626–1,685 cm−1 due to C=O amide, while the NO2 bands appeared at 1,540 cm−1. The obtained 3,5-dinitrobenzamides were reduced using hydrazine hydrate/Pd–C (10 %) mixture following standard procedure. The IR spectra of the diamines 24–26 and 33–35 showed absorption bands correspond to the NH2 at 3,453 and 3,361 cm−1; bands around 3,204 cm−1 due to the carbonyl NH and the C=O amide bands were in region 1,625–1,666 cm−1. Physical properties of all new compounds are recorded in the experimental section and the calculated analysis data are in good agreement with the experimental one. The production of new aromatic polyamides containing chloro aromatic, pyrimidine- and sulfonamidopyrimidine pendent structures, where the pendent groups act as signaling units due to their fluorescent, chromogenic and biological characteristics and studying of their properties are the objectives of our study. The important tasks in this study are to analyze and predict the properties such as solubility, optical and fluorescence emission properties, biological activities and thermal stability with respect to their chemical structures. The targeted polyamides 36–45, 46–51, 52–57 were synthesized in bulk scale by direct polycondensation of an equimolar mixture of the readily available isophthaloyl dichloride or pyridine-2,6-dicarbonyl dichloride with, respectively, the diamines 13–17, 24–26, 33–35 in DMA solutions at 0 °C (ice bath), Fig. 1. The polyamides were obtained in moderate to good yields and their inherent viscosities (ηinh) are in the range of 0.24–1.48 dL/g. Physical properties of the new compounds are recorded in the experimental section and the calculated analysis data are in good agreement with the experimental one. The synthesis of the nanosized aramides particles 36–45, 46–51 and 52–57 was the next task. Different solution techniques are known in the literature for the preparation of nanosized particles, including emulsion, interfacial polycondensations or nanoprecipitation method [23–29]. The basic principle of the latter method is based on the interfacial deposition of a polymer from solvent/non-solvent phases. Generally, the current series were prepared by ultrasonication of 0.5 mmol of the appropriate diamine with 0.5 mmol of the acid chloride in a total of 115 ml dioxane solution containing distilled water (15 ml) followed by centrifugal separation at 6,000 rpm for 30 min. The presence of water is necessary for controlling the particle shape and as a reaction accelerator. As judged by SEM micrographs, Figs. 2 and 3, most polyamides were obtained as well-separated spherical nanosized forms, nevertheless, there were some degree of aggregation for those polymers containing pyridine and pyrimidine pendant groups. The aggregate formation could be attributed to the molecular H-bond self-assembly via H-bond directed organization of molecular precursors. The average diameters (standard deviation) of some polymers were 39; 66.76 nm (28.36), 40; 198.86 (27.45), 41 92.31 nm (27.59) and 45; 209.27 nm (10.63); 46; 406.12 nm (39.12), 47; 205.6 nm (34.31), 48; 77.27 nm (25.6), 49; 48.29 nm (9.8), 50; 58.99 (13.37), 51; 61.08 nm (5.44); 54; 69.6 nm (13.43) and 57; 71.02 nm (18.85), respectively. The polyamides are readily soluble in polar aprotic solvents such as NMP, DMAc, DMF and DMSO while insoluble in boiling alcoholic or halogenated solvents. The observed solubility of the pyridine-containing polyamide compared to that polyamides containing phenylene moiety could be attributed to the dipole–dipole interaction of polymer–solvent system. The pyrimidine-containing polymers showed inferior (lower) solubility may be due to the presence of pyrimidine structural that aggravate macromolecule hydrogen. The presence of the sulfonamide group leads to increase solubility due to their effective contribution to the cohesive energy which counteracting their influence in the increment in the main chain–main chain distance. The inherent viscosity (ηinh) of the polymers, as a suitable criterion for evaluation of molecular weight, was measured at a concentration of 0.5 g/100 mL in DMSO at 30 °C. The ηinh of phenylene-containing polyamides 36–40 were in the range 0.14–1.48 dL/g while their analogues 41–45 were in the range 0.47–1.44 dL/g indicating low to moderate molecular weights in this series. The ηinh of the amido- and sulfonamido-pyrimidine containing polymers 46–51, 52–57, respectively, were closely similar in the range 0.24–1.61 dL/g. Noteworthy, no significant change in inherent viscosity was noticed on phenylene/pyridine replacement. In general, the IR spectra of the phenylene-containing dinitro derivatives 8–12 exhibited bands in the region 3,253–3,361 cm−1 correspond to the NHstr; a characteristic band at 1,650 cm−1 due to the C=Ostr amide while the NO2 appeared at 1,541 cm−1 (–NO2asymstr) and 1,340 cm−1 (–NO2symstr). The SO2 sulfonamide in 12 appeared at 1,339 cm−1 (–SO2asymstr), 1,158 cm−1 and (–SO2symstr). Pyrimidine-containing dinitro derivatives 21–23 and 30–32 exhibited absorption bands at 3,100 cm−1 attributed to the NHstr; a characteristic band in the region 1,626–1,685 cm−1 correspond to the C=Ostr amide while the NO2 bands appeared at 1,540 cm−1. The IR analyses of the phenylene- and pyrimidine-containing diamines 13–17, 24–26 and 33–35 showed absorption bands in the region 3,433–3,454 cm−1 correspond to the amino groups (–NH2asymstr) and 3,360–3,394 cm−1 due to (–NH2symstr); the band at 3,250 cm−1 due to the NHstr band while the C=Ostr amide bands were in region 1,640–1,680 cm−1. The SO2 sulfonamide bands in the diamines 33–35 appeared at 1,345 cm−1 (–SO2asymstr) and 1,159 cm−1 (–SO2symstr). The IR analyses of the phenylene-containing polymers 36–40 exhibited major absorption bands, respectively, 36: 3,275 (NHstr), 3,094 (CHstr arom), 1,663 (C=Ostr amide), 1,600 (C=Cstr arom); 37: 3,387, 3,235 (NHstr amide), 3,081 (CHstr arom), 1,688, 1,660 (C=Ostr amide), 1,590 (C=Cstr arom), 733 (CClstr); 38: 3,291 (NHstr amide), 3,081 (CHstr arom), 1,689, 1,661 (C=Ostr amide), 1,593 (C=Cstr), 825 (CClstr); 39: 3,298 (NHstr amide), 3,109 (CHstr arom), 1,661 (C=Ostr amide), 1,599 (C=Cstr arom), 874 (C–Clstr); 40: 3,339 (NHstr amide), 3,105 (CHstr arom), 1,924, 1,665 (C=Ostr amide), 1,594 (C=Cstr arom), 1,330 (SO2asymstr), 1,250, 1,158 (SO2symstr). The IR analyses of the pyridine-containing polymers 41–45 showed major absorption bands, respectively, 41: 3,427 (NHstr amide), 2,968 (CHstr arom), 1,675 (C=Ostr amide), 1,600 (C=Cstr arom), 1,328 (CNstr arom); 42: 3,406 (NHstr), 3,312 (NHstr amide), 1,688, 1,623 (C=Ostr amide), 1,591 (C=Cstr arom), 1,346 (CNstr arom), 744 (C–Clstr); 43: 3,427 (NHstr), 3,298 (NHstr amide), 3,107 (CHstr arom), 1,677 (C=Ostr amide), 1,599 (C=Cstr arom), 1,310 (CNstr), 873 (C–Clstr); 44: 3,728, 3,298 (NHstr amide), 3,106 (CHstr arom), 1,678 (C=Ostr amide), 1,599 (C=Cstr arom), 828 (C–Clstr); 45: 3,266 (NHstr amide), 3,105 (CHstr arom), 1,682 (C=Ostr amide), 1,595 (C=Cstr arom), 1,330 (SO2asymstr), 1,159 (SO2symstr), 725 (C–Clstr). The IR spectral data of the pyrimidineamido-containing polymers 46–51 exhibited absorption bands, respectively, 46: 3,399 (NHstr amide), 1,655 (C=Ostr amide), 1,536 (C=Cstr arom); 47: 3,432 (NHstr amide), 1,657 (C=Ostr amide), 1,610 (C=Cstr arom); 48: 3,396 (NHstr amide), 1,658 (C=Ostr amide), 1,536 (C=Cstr arom); 49: 3,438 (NHstr amide), 1,696, 1,666 (C=Ostr amide), 1,629 (C=Nstr arom), 1,595 (C=Cstr arom); 50: 3,435 (NHstr amide), 1,681 (C=Ostr amide), 1,607 (C=Cstr arom); 51: 3,444 (NHstr arom), 3,294 (NHstr amide), 3,093 (CHstr arom), 1,695, 1,667 (C=Ostr amide), 1,595 (C=Cstr arom). The IR spectral data of the pyrimidinesulfonamido-containing polymers 52–57 showed absorption bands, respectively, 52: 3,435 (NHstr amide), 1,659 (C=Ostr amide), 1,597 (C=Cstr arom), 1,326 (SO2asymstr), 1,154 (SO2symstr); 53: 3,404 (NHstr amide), 1,665 (C=Ostr amide), 1,596 (C=Cstr arom), 1,327 (SO2asymstr), 1,154 (SO2symstr); 54: 3,432 (NHstr amide), 1,678 (C=Ostr amide), 1,599 (C=Cstr arom), 1,301 (SO2asymstr), 1,154 (SO2symstr); 55: 3,435 (NHstr amide), 1,668 (C=Ostr amide), 1,595 (C=Cstr arom), 1,321 (SO2asymstr), 1,153 (SO2symstr); 56: 3,437 (NHstr amide), 1,678 (C=Ostr amide), 1,595 (C=Cstr arom), 1,322 (SO2asymstr), 1,153 (SO2symstr); 57: 3,440 (NHstr amide), 1,680 (C=Ostr amide), 1,597 (C=Cstr arom), 1309 (SO2asymstr), 1,151 (SO2 asymstr). The optical properties of polyamides series containing chloroaromatic pendent moiety and 36–45 were investigated by UV–vis and photoluminescence spectroscopy in DMSO using concentration of 2 mg/10 ml. The values of molar extinction coefficients were in the range 14,640–23,530 M−1cm−1. The PL spectra were measured at 290 nm excitation. Relative to the unsubstituted polyamide, all substituted polymers showed slightly shifted absorption peaks due to the electronic effect of the substituent that increase the electron density, thereby leading to a relatively large energy band gap for π–π* transitions. The fluorescence emission spectra of all polyamides exhibited two emission peaks at 346 nm and 580 nm. The orange emission observed for all polyamides at 580 nm could be attributed to the substituent’ electronic effect. Pyridine containing polyamide 41 exhibited slightly blue shifted absorption band relative to its phenylene analogue 36 while its emission showed a red shifted emission peak at 420 nm. Compared to a benzene ring, pyridine has a greater electron affinity and better electron-transporting properties. Pyrimidine containing polyamide 46 exhibited a blue shifted absorption peak at 267 nm relative to its phenylene analogue 36. Introduction of one methyl substituent led to a new absorption at 312 nm while the presence of two methyl substituents red-shifted the peak to 331 nm. Pyridine containing polyamides 49–51 exhibited similar absorption peaks at 275 nm and no further changes were noticed in presence of substitution. Relative to their phenylene analogues 46–48, these series showed red shifted absorption (up to 10 nm). Green emission observed in this series at 550 nm in addition to the combined peak at 346 nm. All polymers in this series exhibited yellow emissions at 572 nm. No change upon phenylene/pyridine exchange except polymer 56 in which replacement red shifted the absorption. Furthermore, methyl substitution red-shifted the absorption bands. This series of polyamides exhibited red-shifted absorptions and emission peaks relative to their pyrimidine-containing polymers. This could be attributed either to the sulfonamide’s electronic effect or the increase of molecular polarizability which reduce the energy level separation. The thermal properties of the prepared polymers were evaluated by differential thermo gravimetric (DTG) and differential thermal analysis (DTA) techniques. Thermal stability of the polymers was studied in the range 20–700 °C (char yield), Table 4. Structure–property relationship demonstrated an interesting connection between a single structure change and its thermal property. Phenylene-containing polymers 36–40 exhibited similar degradation behavior. DTA analysis revealed that the polyamide 36 exhibited an endothermic peak at 440 °C and an exothermic peak at 634 °C. The TGA exhibited degradation processes at 158 °C (8.6 % wt loss), 303 °C (8.5 % wt loss), 438 °C (16.3 % wt loss) and 666 °C (64.9 % wt loss) leaving 1.8 % as a mass residue. The DTA analysis of 37 exhibited a single exothermic peak at 607 °C, while its TGA analysis exhibited degradations at 107 °C (1.5 % wt loss), 197 °C (3.7 % wt loss), 263 °C (3.6 % wt loss), 463 °C (43.6 % wt loss) and 676 °C (46.9 % wt loss) leaving 0.7 % of as a residue. DTA analysis of the polyamide 38 exhibited an exothermic peak at 588 °C, while its TGA chart exhibited degradation processes at 196 °C (4.6 % wt loss), 291 °C (20.7 % wt loss), 435 °C (27.5 % wt loss) and 643 °C (45.5 % wt loss) leaving 1.7 % mass residue. DTA analysis of the polyamide 39 exhibited an exothermic peak at 590 °C and its TGA exhibited degradation processes at 205 °C (11.2 % wt loss), 298 °C (3.3 % wt loss), 466 °C (20.9 % wt loss) and 634 °C (65.8 % wt loss) leaving 0 % mass residue. DTA analysis of the polyamide 40 exhibited an exothermic peak at 607 °C. The TGA exhibited degradation processes at 201 °C (6.9 % wt loss), 412 °C (13.9 % wt loss) and 656 °C (73.9 % wt loss) leaving 5.3 % mass residue. Pyridine-containing polymers 41–45 exhibited slightly higher thermal stability compared to their phenylene analogues. The DTA of the polyamide 41 exhibited an endothermic decomposition peak at 437 °C and two other exothermic peaks at 480 °C and 581 °C, while its TGA analysis showed successive degradation processes at 338 °C (11.4 % wt loss), 489 °C (30.3 % wt loss), 596 °C (41.1 % wt loss) and 700 °C (8.2 % wt loss), leaving 8.96 % mass residue. The polyamide 42 exhibited an exothermic decomposition peak at 609 °C (DTA analysis), while TGA exhibited degradation processes at 146 °C (2.1 % wt loss), 296 °C (8.2 % wt loss), 456 °C (35.6 % wt loss) and 680 °C (50.0 % wt loss), leaving 4.19 % mass residue. The polyamide 43 exhibited two exothermic decomposition peaks at 405 °C and 577 °C (DTA analysis), while its TGA analysis exhibited degradation processes at 150 °C (3.4 % wt loss), 287 °C (7.7 % wt loss), 425 °C (28.7 % wt loss) and 640 °C (57.8 % wt loss), leaving 2.4 % as a residue. The polyamide 44 exhibited two exothermic decomposition peaks at 491 °C and 610 °C (DTA analysis), while the TGA analysis exhibited degradation processes atv153 °C (8.5 % wt loss), 364 °C (9.9 % wt loss), 503 °C (30.5 % wt loss), 640 °C (42.4 % wt loss) and 701 °C (2 % wt loss), leaving 6.7 % mass residue. Similarly, the polyamide 34 exhibited two exothermic decomposition peaks at 533 °C and 611 °C (DTA analysis), while the TGA exhibited degradation processes at 130 °C (5.8 % wt loss), 412 °C (13.8 % wt loss), 564 °C (39.5 % wt loss), 621 °C (28.9 % wt loss) and 670 °C (3.9 % wt loss), leaving 8.1 % as a residue. Thus, the introduction of pyridine moiety in the main chain of a polymer imparts thermal stability. The DTG curves of some representative examples of this series are shown in Fig. 4. Pyrimidine-containing polymers 46–51 exhibited relatively high thermal stability compared to their analogues 36–45, Table 5. The major degradation occurred in the range 400–700 °C leaving traces of the polymer as a mass residue. The introduction of the methyl substituent in the main chain of a polymer has no significant effect on the thermal stability. The DTA curve of the polyamide 46 exhibited an exothermic peak at 537 °C. The TGA curve showed successive degradation processes at 295 °C (14.2 % wt loss), 375 °C (10.3 % wt loss), 445 °C (13.4 % wt loss) and 699 °C (61.9 % wt loss), leaving 0.3 % of as a mass residue. The polyamide 47 exhibited an endothermic peak at 592 °C and another exothermic peak at 656 °C (DTA analysis). The TGA showed degradation processes at 443 °C (26.71 % wt loss), 550 °C (19.4 % wt loss) and 700 °C (52.2 % wt loss), leaving 1.8 % mass residue. The polyamide 48 exhibited an exothermic peak at 607 °C (DTA analysis). The TGA analysis showed successive degradation processes at 215 °C (11.58 % wt loss), 403 °C (16.6 % wt loss) and 597 °C (68.5 % wt loss), leaving 3.32 % as a residue. Pyridine-containing polyamide 49 exhibited an exothermic decomposition peak at 633 °C (DTA analysis). The TGA analysis exhibited four degradation processes at 99 °C (6.9 % wt loss), 197 °C (3.3 % wt loss), 398 °C (24.1 % wt loss) and 631 °C (65.5 % wt loss), leaving 0.23 % as a mass residue. The DTA analysis of the polyamide 50 exhibited an exothermic peak at 555 °C. The TGA analysis showed three degradation processes at 205 °C (8.5 % wt loss), 379 °C (15.2 % wt loss) and 606 °C (72.6 % wt loss), leaving 3.7 % as a residue. The polyamide 51 exhibited an exothermic peak at 574 °C (DTA analysis). The TGA analysis showed five degradation processes at 137 °C (7.0 % wt loss), 213 °C (2 % wt loss), 275 °C (11.7 % wt loss), 424 °C (17.3 % wt loss) and 670 °C (62.1 % wt loss), leaving 0 % residue. Thermal properties of the polyamides 52–57 are collected in Table 6 and the results revealed comparable thermal stability. As indicated by the DTA chart, the polyamide 52 exhibited two exothermic decomposition peaks at 491 °C and 539 °C. The DTG curve exhibited degradation processes at 174 °C (8.1 % wt loss), 385 °C (34.9 % wt loss), 451 °C (11.2 % wt loss) and 622 °C (45.5 % wt loss), leaving 0.24 % as a residue. The polyamide 53 showed two exothermic peaks at 533 °C and 596 °C (DTA analysis). The TGA exhibited degradation processes at 73 °C (5.4 % wt loss), 497 °C (39.7 % wt loss) and 663 °C (53.3 % wt loss), leaving 1.67 % as a mass residue. The polyamide 54 exhibited two exothermic peaks at 440 and 581 °C (DTA analysis). The TGA analysis showed five degradation processes at 133 °C (6.1 % wt loss), 340 °C (22.1 % wt loss), 450 °C (21.4 % wt loss), 502 °C (19.1 % wt loss) and 590 °C (28.3 % wt loss), leaving 3.1 % mass residue. The DTA analysis revealed that 55 exhibited two endothermic peak at 460 °C and 584 °C, while the TGA analysis exhibited degradation processes at 194 °C (10.0 % wt loss), 303 °C (3.5 % wt loss), 411 °C (19.3 % wt loss) and 647 °C (65.9 % wt loss), leaving 1.3 % of the polymer as a mass residue. The polyamide 56 exhibited two exothermic decomposition peaks at 563 and 589 °C (DTA), while the TGA chart showed degradation processes at 160 °C (7.9 % wt loss), 392 °C (16.0 % wt loss), 566 °C (53.3 % wt loss) and 629 °C (19.5 % wt loss), leaving 3.2 % as a remaining mass residue. The DTA data of the polyamide 57 showed an endothermic peak at 372 °C and exothermic peak at 593 °C. The TGA analysis exhibited degradation processes at 81 °C (5.6 % wt loss), 410 °C (18.2 % wt loss), 528 °C (21.0 % wt loss), 600 °C (12.9 % wt loss) and 700 °C (32.9 % wt loss), leaving 10.1 % as a mass residue. The DTG curves of some representative examples of this series are shown in Fig. 5. In summary, pyrimidine-containing polyamides exhibited relatively higher thermal stability compared to their sulfonamido-pyrimidine analogues. This may be explained by the feature of the supramolecular structure, namely by a high density of packing of polymeric chains, realized through a level-by-level stacking of these chains. With such stacking a strong intermolecular interaction between the amide fragments of adjacent polymeric chains is provided. However, in the case of the former polymers, the interchain interaction can occur due to specific contacts between the amide fragments of one chain and the nitrogen atoms of the pyrimidine cycles of the other chain. Owing to this fact the pyrimidine cycles serve as an additional amplifier of the interchain interaction in polyamides, thus causing the strength and thermal stability to increase. The presence of a sulfonamide group adjacent to pyrimidine, as in the case of the latter polymer series, led to decrease thermal stability. This may be attributed to the acidic nature of the hydrolyzable group that retain the high polarity and thus, the polymer degraded before melting stage. Nevertheless, the methyl substitution enhanced the thermal stability in this series. Flammability of polymers is one important property which could limit their applications . Despite the fact that high-performance polymeric materials offer many advantages over conventional metals, their flammability and possible release of toxic byproducts increase the fire risk and thus the introduction of flame-retardant additives are the easiest way to diminish the polymer flammability. The flame retardancy is evaluated by limiting oxygen index (LOI). The LOI is defined as the minimum oxygen concentration needed in an inert gas medium for the material to achieve burning after ignition. The LOI is a measure of the ratio of oxygen to other gases in the air surrounding a substrate. A material with an LOI of greater than 21 % but less than 28 % would be considered “slow burning” while a material with an LOI of greater than 28 % would be considered “self-extinguishing”. Char yield can be used as criteria for evaluating LOI of the polymers in accordance with Van Krevelen and Hoftyzer equation ; LOI = 17 + 0.4CR, where CR = chars yield. The calculated LOI values of all polymers based on their char yield were less than 28, Tables 7,8.
where S is the entropies of activation, R represents molar gas constant, Φ rate of heating (K s−1), K the Boltzmann constant, and h the Planck’s constant . The change in enthalpy (∆H) for any phase transformation taking place at any peak temperature, Tm, can be given by the following equation: ∆ S = ∆H/Tm. Based on least square calculations, the Ln ∆T versus 1,000/T plots for all complexes, for each DTA curve, gave straight lines from which the activation energies were calculated according to the reported methods . The slope is of Arrhenius type and equals −E/R. The calculated values of the collision number, Z, showed a direct relation to Ea. The maximum and minimum Z values for polyamides 36–40 derived from isophthaloyl dichloride were 7.28 S−1 and 1.014 S−1 and that derived from pyridine 2,6-dicarbonyl dichloride 41–45 were 12.69 S−1 and 1.02 S−1 suggesting different degradation mechanisms with variable speeds. The values of the decomposed substance fraction, αm for the polyamides 36–40 at the maximum development of the reaction are of nearly the same magnitude and lie within the range 0.48–0.64. The change of entropy values, ∆S, for all polymers has nearly the same magnitude lie within the range −0.23 to −0.25 kJ K−1 mol−1 and the negative signs of the entropy suggest ordered transition states, i.e., in a less random molecular configuration. The fractions appeared in the calculated order of the thermal reactions, n, confirmed that the reactions proceeded in complicated mechanisms. Activation energies (∆E) of polyamides 36–40 demonstrated lower values compared to their partners 41–45. The first and second decomposition steps in some polymers have nearly equal ∆E values, indicating similar degradation mechanism. The enthalpy (∆H) of polyamides 36–40 demonstrated higher values compared to their partners 41–45, respectively, and the negative values demonstrated the exothermic decomposition processes. The maximum and minimum collision number Z values for polyamides 46–50 are 3.45 and 0.93 S−1, respectively, while that for the polyamides 51–57 are 26.6 and 1.03 S−1 suggesting different degradation mechanisms with variable speeds. Noteworthy, the collision number Z values for polyamides containing sulfonamide group are 1.57, 1.2, 0.9, respectively, suggesting similar degradation mechanisms. The values of the decomposed substance fraction, αm for polyamides at the maximum development of the reaction are of nearly the same magnitude and lie within the range 0.33–0.73. The entropy values, ∆S, for all polymers have nearly the same magnitude and were in the range −0.22 to −0.25 kJ K−1 mol−1. The observed negative signs clearly demonstrated that the transition states are more ordered, i.e., in a less random molecular configuration. The fractions appeared in the calculated order of the thermal reactions, n, confirmed that the reactions proceeded in complicated mechanisms. Activation energies (∆E) of polyamides 46–50 demonstrated lower values compared to their partners 51–57. Noteworthy, polyamides containing sulfonamide exhibited higher ∆E and methyl substitution produced polymer have high ∆E than their unsubstituted analogs. The enthalpy (∆H) of polyamides 46–50 demonstrated higher values compared to their partners 51–57 and the negative values demonstrated exothermic decomposition processes. The antimicrobial activity of the polyamides series 36–57 were examined against a variety of microorganisms included fungi such as: A. fumigatus RCMB 02568, S. racemsum RCMB 05922, G. candidum RCMB 05097 and C. albicans RCMB 05036; gram positive bacteria such as: S. pneumoniae RCMB 010010 and B. subtilis RCMB 010067; and gram negative bacteria such as: P. aeruginosa RCMB 010043 and E. coli RCMB 010052. In all cases, the diffusion agar technique was applied and the antimicrobial activity results are collected in Additional file 1: Tables S3–S5. Chloro aromatic compounds played a vital role in the development of different medicinal agents where chlorine is electronegative, and therefore oxidizes peptide link and denatures proteins. Exposure of strains of E. coli, Pseudomonas spp. and Staphylococcus spp. to lethal doses causes a decrease in ATP production. Chlorine acts on the permeability of the external membrane of E. coli through a primary lethal phenomenon which consists in a substantial leakage of K + ions; such leakage does not occur for macromolecules. Sub-lethal doses inhibit cellular respiration due to a nonspecific oxidizing effect (bactericidal effect) . Results of antimicrobial activity of polyamides 36–40, derived from isophthaloyl chloride, and the comparative activity of currently used antibacterial and antifungal agents are presented in Additional file 1: Table S3. Thus, the introduction of choro substituents clearly enhanced the antimicrobial activity against all fungi and B. subtilis with inhibition zone diameters ranging between 13.4 and 19.6 mm. Compared to other analogues, the polyamide containing p-chloro substituent showed higher activity against the tested microorganisms. The antimicrobial activity comparative tests of the polymeric series 41–45, derived from pyridine 2,6-dicarbonyl dichloride, are presented in Additional file 1; Table S4. Polyamides containing both sulfonamide and chloro substituents showed higher antimicrobial activity against all fungi and gram positive bacteria. The presence of such bioactive groups in the backbone of the polymer play the key role in catalyzing both biological and chemical systems. Compared to their analogues 25–29, the polyamides 30–34 showed relatively higher antibacterial activities against all tested microorganisms. Pyrimidine-containing polyamides exhibited high antifungal activity than their analogues containing sulfonamidopyrimidine pendant structures. Thus, the presence of sulfonamide structures in such polymeric series considerably alters the antimicrobial activity of the polymer. The polyamides 46–48 exhibited remarkable antifungal activities against A. fumigatus and, interestingly, the observed activity were more potent than those of the reference Amphotericin B. Over 80 % of the reported Aspergillus-related cases, such as extrinsic allergic alveolitis, asthma, allergic sinusitis, chronic eosinophilic pneumonia, hypersensitivity pneumonitis, and allergic bronchopulmonary aspergillosis are most frequently caused by A. fumigatus . Moreover, introduction of methyl substituents in case of the polyamides 47 and 48 produced potent antifungal polymers against S. racemosum and, the noteworthy, the activity were higher than the reference Amphotericin B and thus, the introduction of a methyl group to the pyrimidine promotes antifungal activity. S. Racemosum is well known to cause skin and soft tissue infection and fungal rhinosinusitis . Sulfonamidopyrimidine-containing polyamides analogues 51–53 exhibited higher antibacterial activity against gram negative bacteria than their analogues 46–48. Thus, replacement of the amide linkage by sulfonamide linkage promoted specifically the antibacterial activity against gram negative type. Noteworthy, relative to the reference antibiotic Gentamicin, the polyamide 54 exhibited comparable antibacterial activity against gram negative bacteria. It has been reported that P. aeruginosa is the most common pathogen causing chronic infection in people with cystic fibrosis (an inherited disease that affects the lungs, digestive system and sweat glands) . 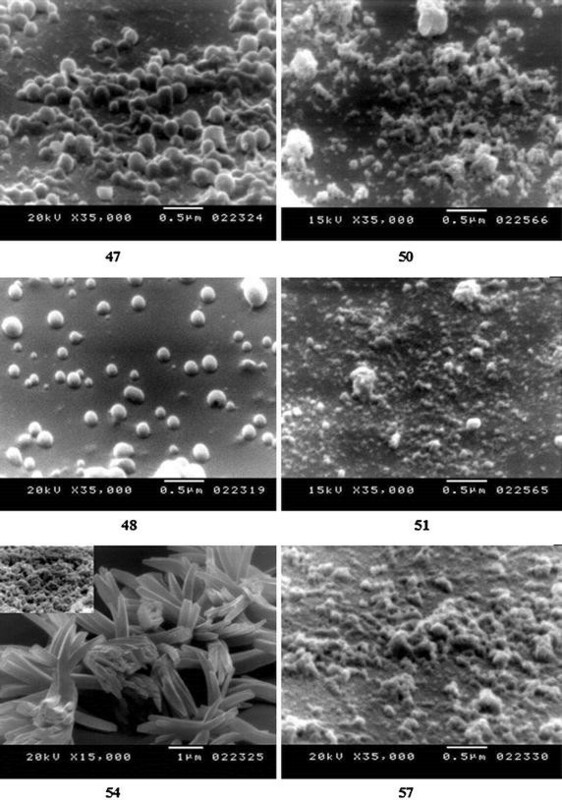 Pyrimidine-containing polymer analogue 52 exhibited remarkable antibacterial activities against S. pneumoniae, a gram positive bacterium and P. aeruginosa a gram negative bacterium. In both cases, activities were more potent compared to the references antibiotics used. Thus, the polyamide 52 is likely to be a promising broad spectrum antibacterial agent. In general, polymers have pyrimidinoamide linkages exhibited lower activities toward gram positive bacteria than their analogues have sulfonamidopyrimidine linkage. 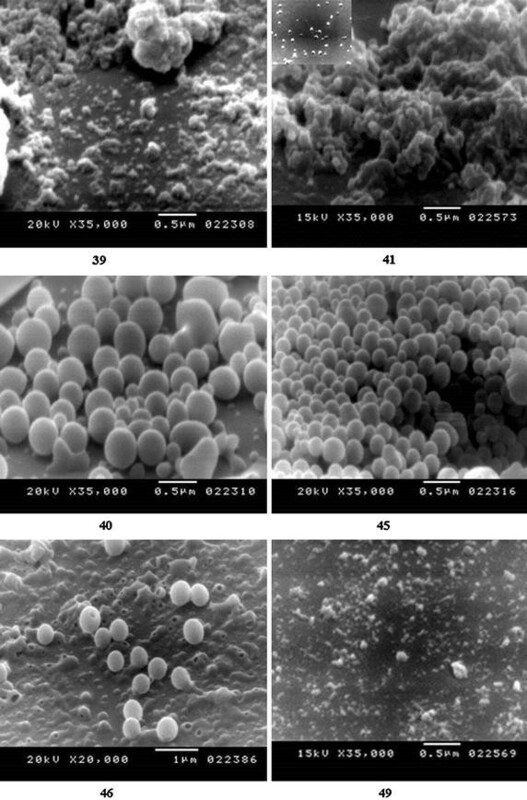 The polyamide analogue 57 exhibited promising antibacterial activities against both gram positive and gram negative bacteria. Interestingly, its activity as reflected by the inhibition zone diameter is higher than the reference antibiotic Gentamicin. Inhibition zone values of the potent polymers 46–55, 57 and the standard against fungi: A. fumigatus, S. racemsum, G. candidum and C. albicans; and bacteria; gram positive bacteria: S. pneumoniae and B. subtilis; and gram negative bacteria: P. aeruginosa and E. coli. A. fumigatus was significantly (p < 0.001) sensitive to the tested pyrimidine-containing polymers 46–48 compared to the control. S. Racemosum was significantly (p < 0.003) sensitive to substituted pyrimidine-containing polymers 47–48 compared to the control. B. subtilis was significantly (p < 0.004) sensitive to the polymer 50 compared to the analogues 49 and 51 and the control. S. pneumonia was significantly (p < 0.001) sensitive to the polymer 52 which exhibited broad antibiotic spectrum compared to the analogues 53–54 and the control. Although these polymers have shown remarkable antimicrobial activity, further studies need to be conducted to ascertain the exact mechanism of the activity and the minimal inhibitory concentration. A series of aromatic polyamides containing substituted halogenated aromatic, pyrimidineamido- and pyrimidinesulfonamido pendent structures in bulk and nanoscale were synthesized and screened for their antimicrobial activity against microorganisms. The SEM analysis of polyamides indicated that most of them were organized as well defined nano sized spheres but in case of pyridine and pyrimidine containing polyamides small amount of aggregated nanospheres were also observed. Thermal analysis of the polymers was studied in the temperature range 20–700 °C and results showed comparable thermal behavior. The optical results showed that polyamides series containing chloroaromatic pendent moiety exhibited orange emission at 580 nm. The pyrimidineamido polymeric series showed green emission 550 nm while their pyrimidinesulfonamido analogues exhibited yellow emission 572 nm in addition to the blue emission at 482 nm. Interestingly, structural modification via benzene/pyridine interchange resulted in red shifted emission peaks in most cases and this could be attributed to the localized lone pair of electrons in the sp2 orbital of the nitrogen atom which offer the polyamide a greater electron affinity and better electron-transporting properties. Biological results showed that the halogenated polyamides exhibited good antimicrobial activity against most tested microorganisms. The amido- and sulfonamidopyrimidine containing polymers exhibited most potent antimicrobial agents in the present series. Polymers having pyrimidinoamide linkages exhibited lower activities toward gram positive bacteria than their analogues have sulfonamidopyrimidine linkage. Relative to the reference antibiotic Gentamicin, the polyamide 54 exhibited comparable antibacterial activity against gram negative bacteria (P. aeruginosa); the most common pathogen causing chronic infection in people with cystic fibrosis. Pyrimidine-containing polymer analogues 52 and 57 exhibited remarkable antibacterial activities against gram positive and gram negative bacteria. In both cases, activities were more potent compared to the references antibiotics used. Thus, these polyamides are likely to be promising broad spectrum antibacterial agents and deserve further investigation in order to clarify the mode of action at the molecular level. HHAMH, ESMEM designed the research point, monitoring the progress of the chemistry work, analyzed and write the manuscript. AMSAZ carried out the preparation of the monomers and polymers. AFE analyzed and write the thermal data. ERE and RS analyzed and write the biological section. All authors read and approved the final manuscript. The article part of MSC thesis of AMSAZ. Additional file 1: Table S1. Kinetic parameters of the polymers 36–45. Table S2. Kinetic parameters of the polymers 46–57. Table S3. Antimicrobial activity of polyamides 25–29 (discs Ø 6 mm). Table S4. Antimicrobial activity of polyamides 41–45 (discs Ø 6 mm). Table S5. Antimicrobial activity of polyamides 46–51 (discs Ø 6 mm). Table S6. Antimicrobial activity of polyamides 52–57 (discs Ø 6 mm). Table S7. Statistical analysis of some polyamides exhibited promising antimicrobial agents.